Oh, ye (me) of little faith! I confess that I had pretty much convinced myself that the visas were going to be rejected and I was going to be forever in that cyber- world where my daily contact with my family was destined to be forever conducted via Skype. We had so many false alarms and misinformed promises that when I finally received that call from Lek at 5 a.m. last Monday morning that the visas had been approved, it was something of an anti-climax. Of course, in reality, I was over the moon, as were Lek and Song, and I quickly had to get my head in gear – book the air tickets and start the preparations for their grand arrival. I had deliberately avoided any forward planning prior to the issue of visas as I didn’t want to put a jinx on it. So I am now rushing around, trying to find somewhere to live and do a thousand things in a few days. They are arriving next Friday 2nd March at the crack of dawn and I will have to drive through the night to collect them from terminal 4 Heathrow. Unfortunately ‘sods law’ still seems to be playing its unwelcome role in our adventure. Not content with delaying their visas for a month longer than for everyone else, we now find that the weather forecast for early March is absolutely horrendous! Sub-zero temperatures are forecast, even during the day, with heavy snow, and a vicious wind – all the way from Siberia. Wouldn’t you just know it? Apparently, it will be the coldest start for March in many years and I have visions of being stuck in a snow drift on the motorway, so let’s hope my luck changes. Expect reports of my family’s adjustment to living in a cold strange new cold world during the coming months. As promised in my last blog, I am publishing the first of my new short stories based on my life as a bar owner in sunny Thailand. They will all be works of fiction but are all loosely based on my experiences as ‘Barfly’, and also on my previous escapades and just general life in the notorious Land of Smiles. So here’s the first one – I do hope you enjoy it. 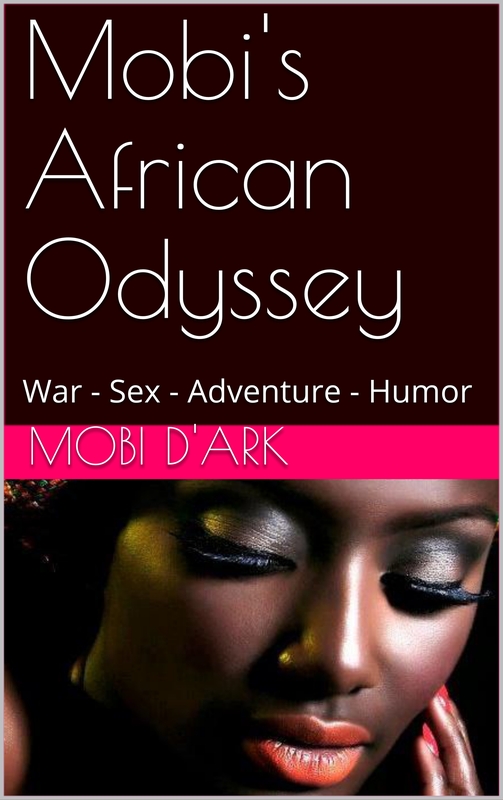 It was 1:00 a.m. – a full hour since we had closed and padlocked the tall wrought iron gates – replete with nasty looking spikes – that spanned the outside perimeter of Mobi’s Bar. It was the end of legal trading hours and Lek, my long-suffering wife, had dimmed the lights and turned down the music. Contrary to outward appearances, twelve midnight signified the start of Mobi’s most profitable period – illicit after-hours drinking – which not infrequently continued for most of the night. It had been a sweltering day and even the after dark temperatures still hovered in the mid-nineties, admittedly down from the insufferable noon peaks of 110 degrees but not at all pleasant. More than a dozen strategically placed industrial sized fans had worked overtime to keep my clientele and staff cool, but by the time witching hour arrived, we were still drenched in sweat. It was at the height of the ‘dry’ season and the stifling humidity refused to let up its grip on the populace – not even at night. Like most bar owners in this little corner of the planet, I had to have proverbial eyes in the back of my head, and I quickly spotted the stranger creep in from the hidden rear entrance and commandeer a stool at the corner of the bar. The little man’s eyes darted around in all directions before he seemed to relax and requested a beer from the girl behind the bar. I was busy dealing with an elderly gentleman from Germany who couldn’t quite grasp why we wouldn’t allow him to ‘buy’ my star bargirl out of the bar and take her away that very night and marry her. For some strange reason, he seemed to believe that the only thing that motivated the management of Mobi’s bar was filthy lucre. He couldn’t seem to get into his inebriated Teutonic skull that the business of running a Thai bar in the unlawful wee hours wasn’t purely a hard commercial enterprise. Nothing could persuade him that as well as earning sufficient to put food on our tables, we also had altruistic motives. We really cared about the girls who were our daily ‘bread and butter’. We also cared about our clients – especially the older and more foolish ones. So happy to hear your Lek & Song will soon be with you again! Best news I have read online in a long time! Great news, family reunited, culture and weather shock maybe however time will help everyone readjust.